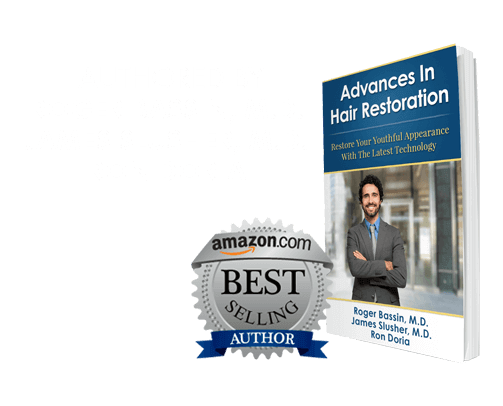 Dr. Bassin is a highly respected hair doctor in Jacksonville who has been featured on a variety of talk shows and news outlets for his expertise in hair restoration. Some of the programs Dr. Bassin has been featured on include Dr. Oz, NBC, ABC News, CNN, Fox News, and Rachael Ray. View more of Dr. Bassin’s video media below. Dr. Slusher discusses hair loss solutions and hair transplants on Fox35 in Jacksonville. Artas® Hair Restoration results revealed on Fox35 in Jacksonville. Artas® Hair Restoration uses robotic technology to select and remove individual hair follicles for hair transplantation, resulting in natural-looking results and quick recovery. Artas® hair transplants in Jacksonville, Florida provide natural and long-lasting hair restoration without incisions or linear scars. NeoGraft® hair restoration in Jacksonville, Florida is a minimally invasive no-incision hair loss solution that leaves no linear scars. Dr. Roger Bassin and Ron Doria appear on Fox 35 News to discuss NeoGraft® hair restoration in Jacksonville. NeoGraft® is an innovative technology for hair transplants that provides long-lasting and natural-looking results. The Jacksonville Hair Restoration Center provides minimally invasive hair grafting and restoration for men and women. Neograft® is a painless, no-incision hair loss solution that offers long-lasting and natural-looking results without linear scarring. Leslye Gale comments on her experience with Progrowth Hair Therapy in Jacksonville, Florida. Progrowth combines PRP treatment and ACell therapy to stimulate the regrowth of natural, thick, and healthy hair where thinning has occurred. A patient compares his strip surgery with the ARTAS® robotic hair transplant procedure. Watch as an ARTAS® robotic hair transplant is performed on a patient. Regrow and thicken hair without surgery with PRP Treatments in Florida. Regrow hair with PRP hair treatments in Florida. NeoGraft® hair restoration was featured on the Rachael Ray show. NeoGraft® is the latest technological advancement in hair grafting and hair restoration. The Jacksonville Hair Restoration Center provides minimally invasive hair restoration in Jacksonville with NeoGraft®. Learn how NeoGraft® uses the latest technology available to harvest and restore hair while providing natural-looking and long-lasting results. NeoGraft® in Jacksonville is a revolutionary breakthrough in hair restoration that provides natural-looking results without linear scarring and with less downtime than traditional hair replacement.